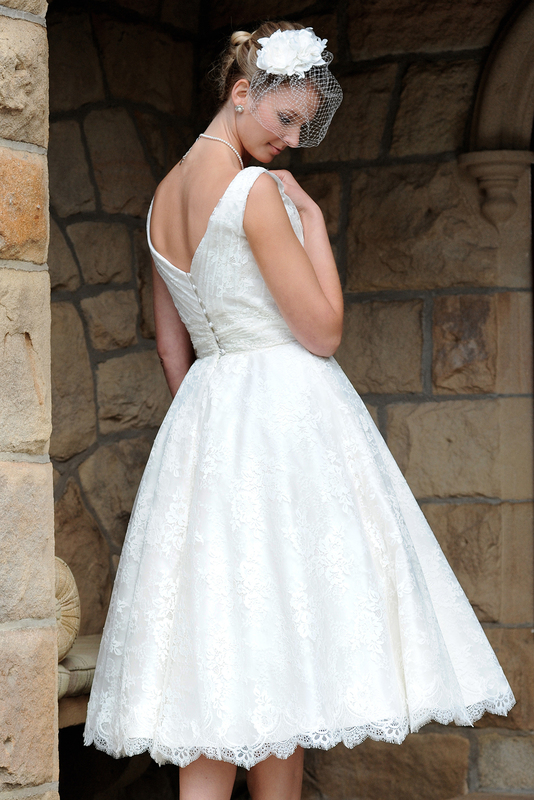 Rousseau is made from an ivory Chantilly style lace. This skirt is cut circular so there are no gathers at the waist over 50's petticoats and has a beaded waist detail. finished with a flower.